I'm developing robots which autonomously explore extreme environments, to help learn more about our planet. Below you'll find information on some of my current and past projects. Understanding the complex dynamics of the coral reef ecosystem requires scientists to collect, analyze, and interpret large amounts of data. We are developing a swarm robotic system to autonomously create detailed 3D maps of coral reefs, to help coral reef ecologists learn more about these ecosystems and their resilience in the face of climate change. This work is supported by the UCSD Contextual Robotics Institute, with partial fieldwork support funded by a National Geographic Society Exploration Fund grant. The underwater environment is communication-restricted: humans cannot speak without the aid of specialized equipment, and electromagnetic waves attenuate quickly, requiring wireless robot interfaces to transmit via acoustic channels. Because of the limited communication modalities in this environment, I am developing gesture-based human-robot communication to enable human-robot collaboration for doing science underwater. The SphereCam is an acoustically-triggered, omnidirectional underwater camera trap, originally developed to monitor the critically-endangered vaquita porpoise. It uses vocalizations of marine species as a trigger to record video, enabling remote monitoring of marine species. This project was originally funded by a National Geographic Young Explorers Grant, and was also supported by The Explorers Club and equipment donations from Blue Robotics. 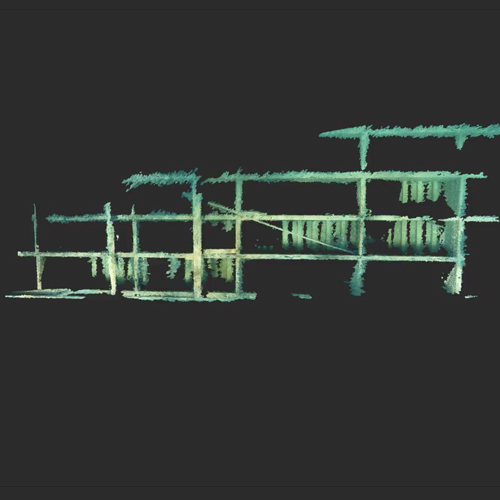 3D reconstruction techniques such as Structure from Motion are widely used in nautical archaeology to document sites for remote analysis, but the underwater environment frequently poses challenges to 3D reconstruction. Issues such as a lack of robust landmarks and turbidity can result in poor-quality reconstructions. Additionally, the refractive effects of water can introduce geometric error into the computed models. This work aims to improve the capabilities of underwater reconstruction for underwater archaeology applications.